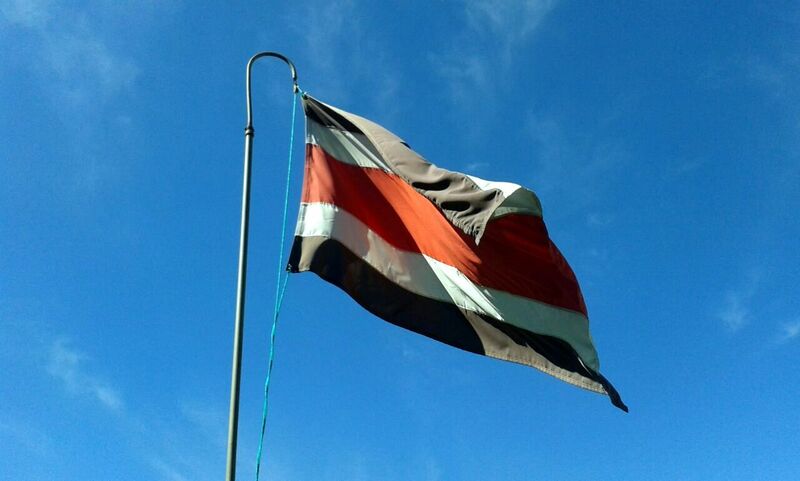 It’s a strange feeling to be back–Costa Rica is still very present in my mind. But here I am, sitting in my living room in Miami, thinking about my time in CR and working on my blog. With my weekdays occupied by volunteer work and my weekends by short trips around the country, there was so little time to write and edit in Costa Rica. But I still have so much to say. So you can expect to see several more posts about my volun-tourism experience. 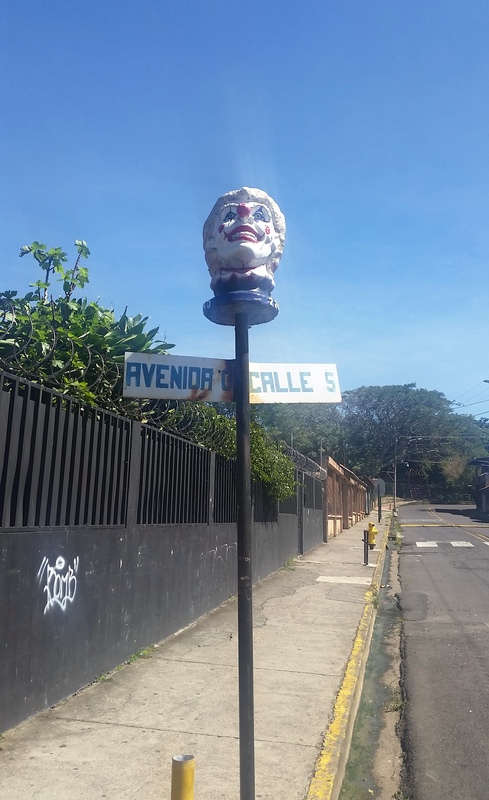 First up, I want to tell you about the great work that we did at Escuela Pedro Murillo Perez (which I’ve abbreviated EPM for this blog). If you recall from my blog post First Impressions and First Week, I talked about the week the other volunteers and I spent at a local church in Los Lagos. During that week, we showcased a different country each day, culminating in a final celebration for all the children that attended. 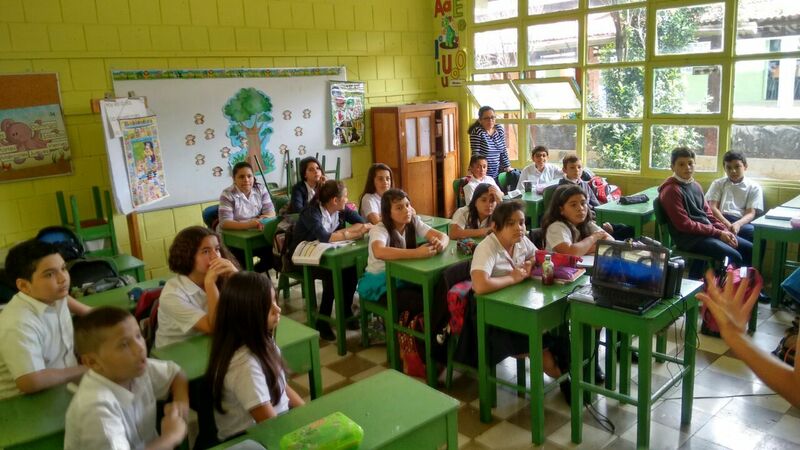 What we’ve been doing at Escuela Pedro Murillo has been similar, but on a much larger scale. 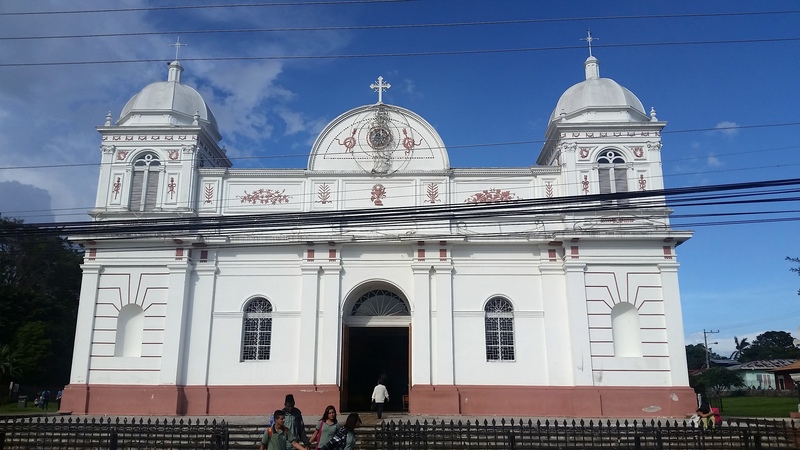 EPM is located in the small town of Barva in Heredia Province. 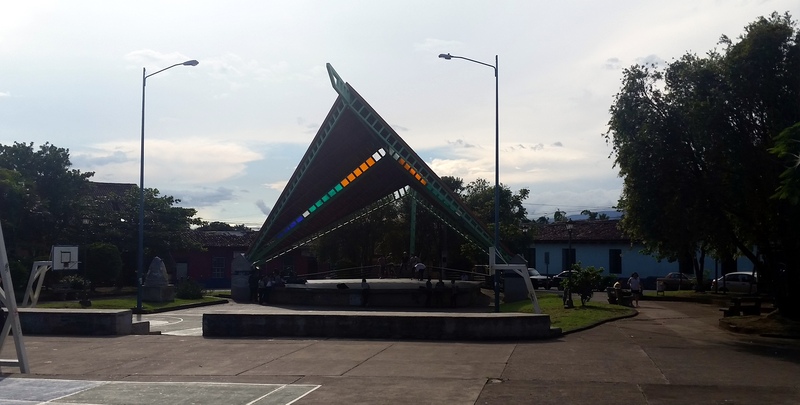 Just down the road from the school is the Central Park of Barva and the Church of Barva. The church is quite large with an attractive 19th century design and a beautiful statue on the grounds. The park is located across the street and it too has some interesting architectural designs. Take a look at the picture of the raised platform in the middle of the park (the 3rd picture). It’s called Templo de la Cultura. 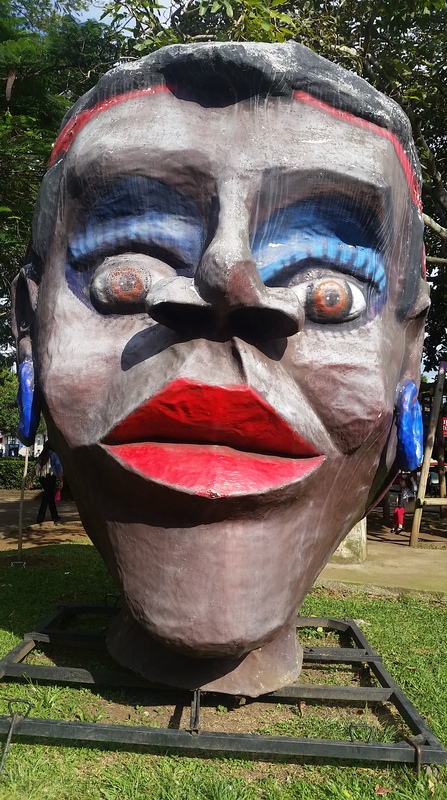 However, my favorite visuals in Barva are, without a doubt, the painted heads. Some on top of street signs and some large enough to stand on their own. 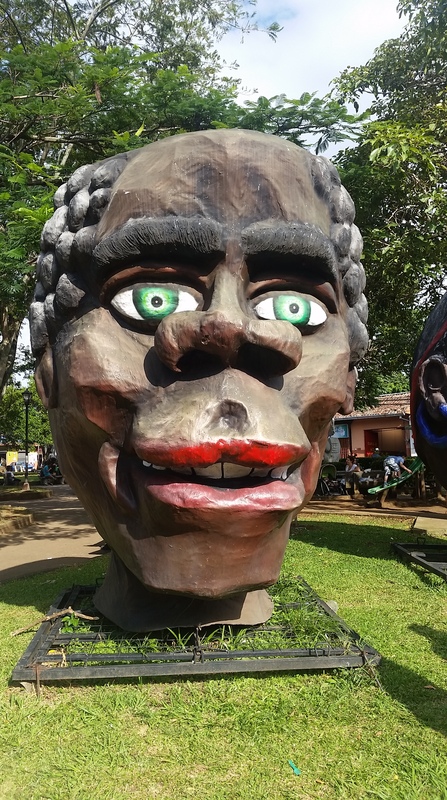 These large, carved, theatrical heads are a strange sight to see. But that’s why I like them so much–they’re unexpected. Our first day at EPM was pretty much how I thought it would be. We met several staff members and took a tour of the school. I remember thinking that I liked the layout, especially because of the central courtyard. When the bell for “Recreo” rings (which sounds strangely like a hurricane or earthquake alarm), you make sure to get out of the way. A stampede of small feet come running out of classrooms at breakneck speeds, all headed for the courtyard or the fields on the other side. It’s clear how much the kids at the school enjoy this area. Once introductions were out of the way, we returned to EPM the following day ready to get started. Our team was divided in half and I was assigned to the group working outside. One of the stated goals of the My Cultural School project was the renovation/beautification of “areas in need” at the school. As I approached the large field where many of the students play during their free time, it was evident why we were assigned to this area. Litter was a huge problem. 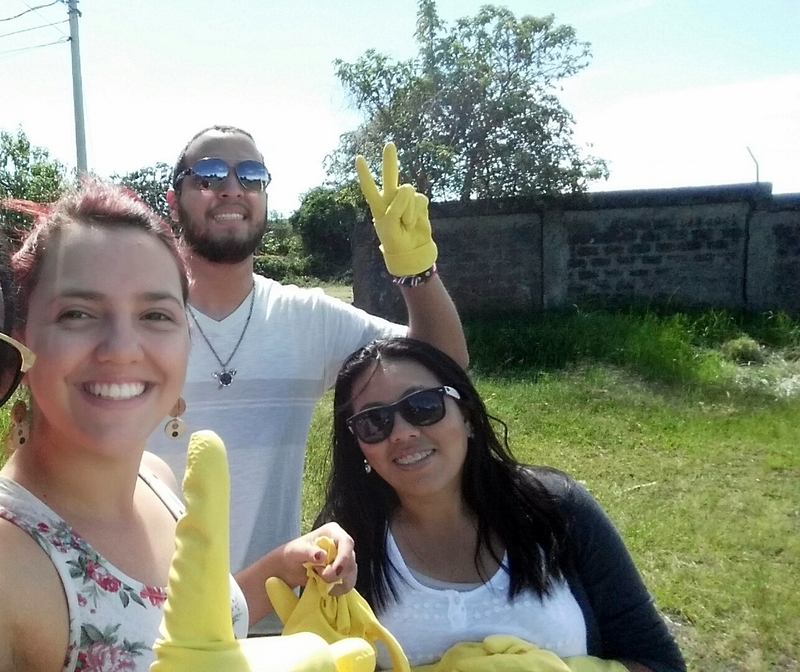 All along the border, and even throughout the center area, lay trash of all sizes–from gum wrappers to large soda bottles. 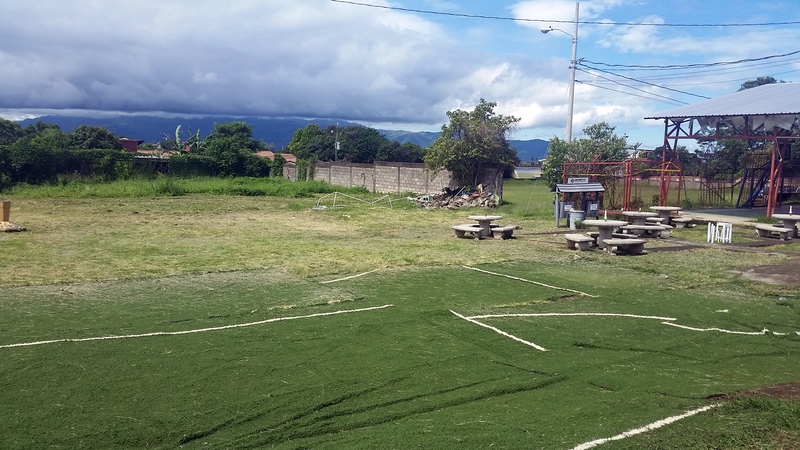 It was tiring work, especially in the heat of the day, but by the end of that week our entire group had managed to make a substantial improvement on the field, and the smaller green area adjacent to it. In addition to picking up the litter, we also moved the remnants of what appeared to be abandoned construction materials to one side, so that they would be out of the way. 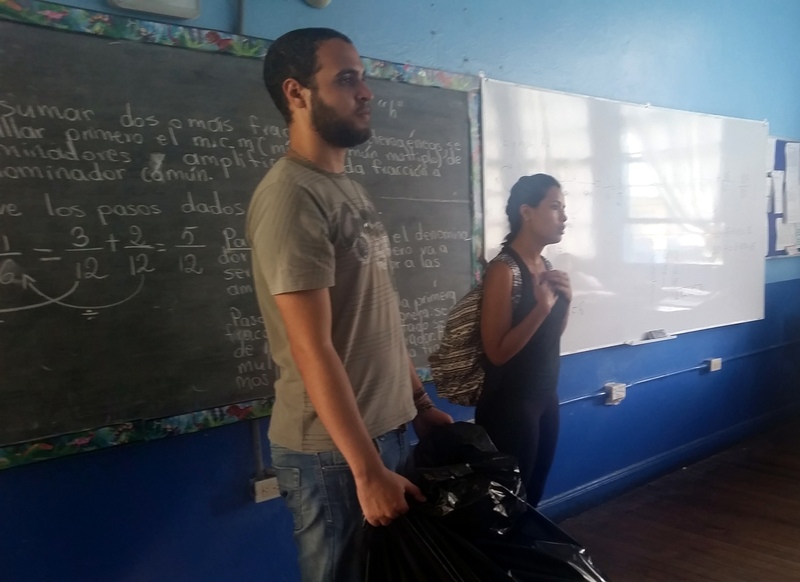 To take our efforts one step forward, we decided that we would like to speak to a few classes about recycling and the environmental impact of littering. 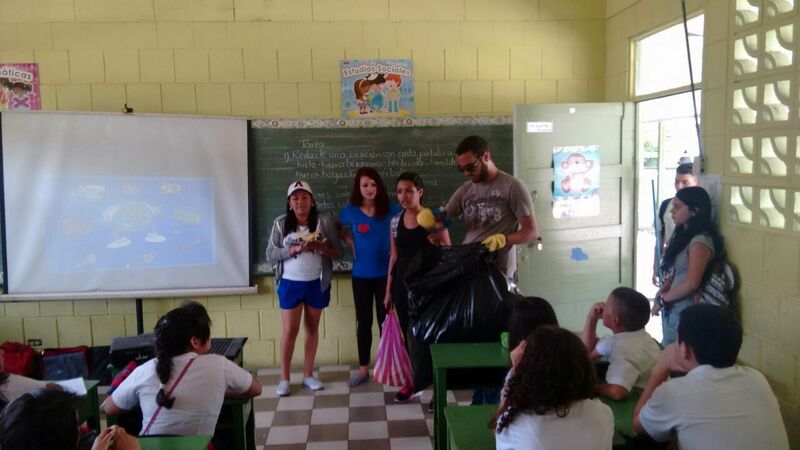 It was interesting carrying our huge bag of trash around the school from class to class. But I think we made our point. I’m doubly proud of our efforts–we made a physical improvement to the green areas at the school and with any luck we impacted some students too. That first week was also an opportunity for me to learn more about the school and the kids there. Students at EPM range from first to sixth grade, ages 7 to 12. I can’t help but wonder what they must have been thinking when we first started our work there. Here were 7 obvious foreigners coming to their school every day working on projects that I’m sure they knew nothing about. We got a lot of stares. Especially if we spoke any language other than Spanish. I remember having a conversation with Igor, one of the other group members, about this. While it was slightly unnerving for me, especially because I barely speak any Spanish, I tried to remind myself how strange it must be for them. The first few weeks went well, though it was not without its challenges. But as Ariana would say, it was a learning experience. I hope you enjoyed Part 1. 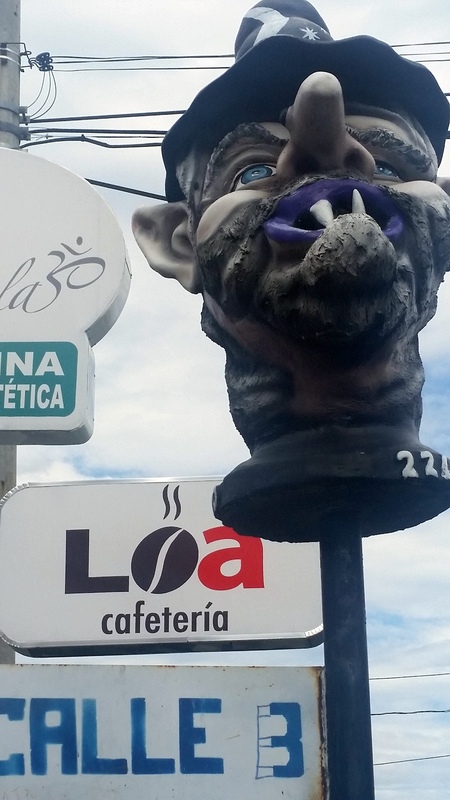 In Part 2, I’ll tell you more about the cultural exhibitions as well as all the painting we did–in the cafeteria, the courtyard, and the murals. Stay tuned!